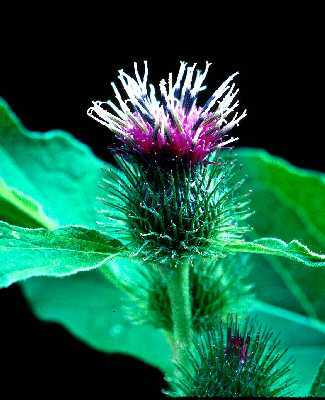 Flowers: head up to 1 1/2" wide with pink to purplish disk flowers, bracts (phyllaries) with hooks curving inward; inflorescence a cluster of long-stalked heads; blooms Aug.-Oct. Similar to A. minus, but with larger glabrous heads 3-3.5 cm wide, 2.5-3 cm high, on long peduncles in corymbose inflorescences. 2n=32 (Darlington 1955). 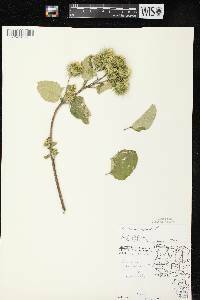 Native of temperate Eurasia, collected only 11 times in Wisconsin: first collections from (1) Iowa Co.: Roadside, July 27, 1961 [fl], Brady & Maduewesi s.n. (WIS). and (2) Lincoln Co.: Abandoned farm, Harrison Twp. Seymour 12693 (WIS). 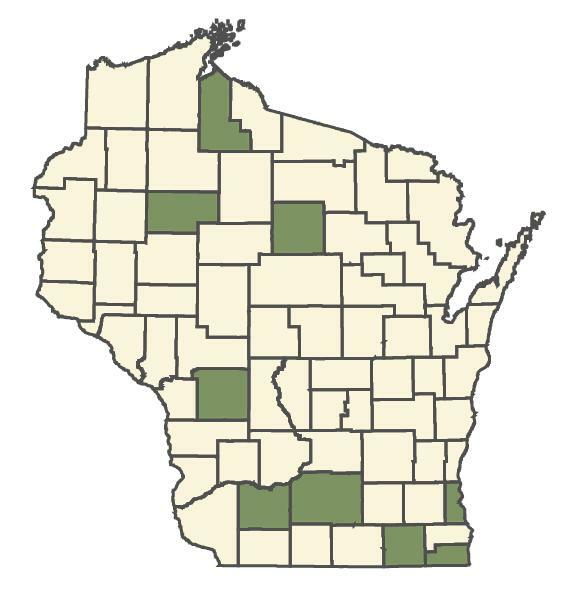 Online Virtual Flora of Wisconsin. 2016. http//:wisflora.herbarium.wisc.edu. Accessed on December 27.